You've probably never thought of it, but if you lower your head, you probably notice your shoes! A pair of shoes are important because they give a person dignity. Yet many children in Albania do not have the opportunity to enjoy a pair of new and warm shoes! Winter has already come and we want to provide these kids with warm shoes that will make their day in school more beautiful. 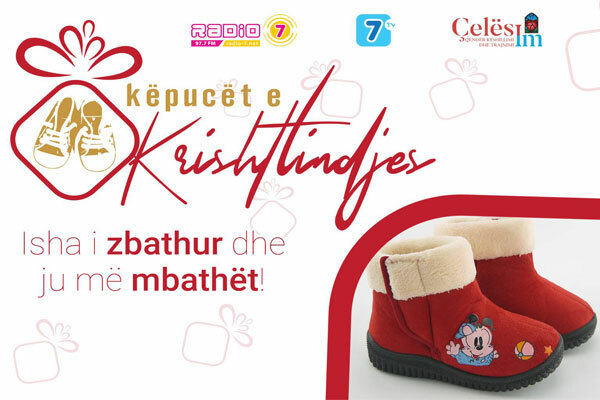 Will be donating 500 pairs of shoes for the children most in need in Tirana and Albania. So if you join in donating a pair of shoes this can be the first step in the transformational journey of a child. - Spread the news to as many people as possible. - Offer your time as a volunteer for collecting and distributing shoes. - Donate financially to buy a pair of shoes. Thanks to you a child tomorrow will say, "I was barefoot and you dressed me up!"